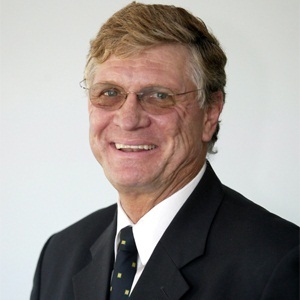 Bloemfontein - PRO14 rugby is a much tougher competition than Super Rugby in many aspects, Cheetahs chief executive Harold Verster has told supersport.com. The Cheetahs are on the verge of finishing their second season in the competition and Verster is already looking forward to the future. He believes the Cheetahs will continue to grow and become a force in the European competition. But while the time zones are more complimentary than Super Rugby, Verster believes there are many aspects that are tougher for a side than travelling to Australasia. “We expected it to be a soft competition, not a tough one. But it is tougher than Super Rugby in some instances. If you play Leinster in Dublin, it is too tough to handle. Most of those players played for Ireland, and beat the All Blacks last year. Wales - all of those players play PRO14 and they won the Six Nations. Scotland almost hammered England and all those players played PRO14,” Verster said. “It is a very tough competition to play them in winter time, but they have to play here when it is hot and it is tough for them. It is a great competition and it is easier to fly to the venues up north than to fly to Australia and New Zealand. The Cheetahs last week finalised another three-year sponsorship with their big backers in Toyota and believe SA Rugby's decision to start its local competitions earlier - to make sure the Currie Cup and PRO14 don’t overlap - will benefit them. “This is of great value to the Cheetahs. The fact that a great international brand like Toyota shows it has faith in the Cheetahs brand, excites the players and the coaches and supporters. It is a tremendous sponsorship which is of great value to us. We’re thankful and fortunate. While the Cheetahs have struggled to convince their fans to support PRO14, they have seen a change as time went on, with Bloemfontein faithful starting to warm to the fact that the Cheetahs have a different competition to play in. “So far it was a bit negative out of Super Rugby and into PRO14 in terms of season ticket sales, but I must say that I have seen a similar trend at the other unions, that supporter numbers have dropped, even if they play local derbies. I think the problem is that PRO14 competition, and players have been unknown, and it has been difficult time frames to play in. Going forward Verster says the Cheetahs need all the exposure they can get. For now the team will soldier on, and with new backing feel they will take another step forward when the new season starts in September.